In 2014, Hong Kong was the eleventh most popular destination for international tourists among countries and territories worldwide, with a total of 27.8 million visitors per year. Some of them loved what they saw and decided to move to the city, others were forced by their jobs, still others forced their upper management for a job here. But no matter why you may want or need to move to the “Pearl of the Orient”, you will need to prepare yourself for the change. This is why we created this post, to help people that want to move to Hong Kong with tips from expats that are already living there and have the knowledge of past experiences. Here are the blogs from which you can extract all the information you need about food, parenting, restaurant recommendations, papers, and so much more. 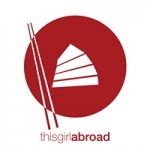 This Girl Abroad is a blog written by a Canadian expat currently living in Hong Kong. 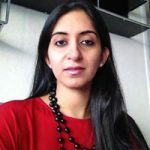 Her specialty is food reviews, as she is a foodie herself and loves to explore the delicacies throughout the city. If you’re thinking about moving to the area and want to know what to expect when it comes to cuisine, this is the best resource to check out. From small cafes to five-star restaurants, she goes everywhere. There are even photos included, so you can get a better idea of the food you’ll be enjoying when you’re in Hong Kong! 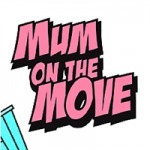 If you have kids and are planning to move to or visit Hong Kong, Mum on the Move is a resource you’ll absolutely love. Written by mother of two Marianne, it’s all about her adventures in Hong Kong with her family. 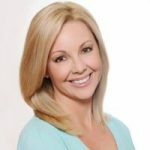 She shares stories from her trips, tips for those who are traveling, family-friendly resort information, and a lot of other useful information for parents and kids alike. You’ll even find tips for saving money when traveling with kids, which makes it even more useful! Even if you’ve traveled stateside with kids, Marianne’s advice will help immensely with overseas travel in Hong Kong. This website is run by Felix who having survived two years in a 40sq ft room deep in Kowloon, wants to share with everybody his views about Hong Kong. As a quasi local, he will show you the best street markets, local hangouts, cheap eats and questionable booze that you can find in the city, as well as some of the best tours and hikes for those that are interested in seeing Hong Kong from every angle possible. Felix immigrated to Canada as a child and lived until the age of 19, then moved back to Hong Kong. Having Asian parents and being raised in a Western country gives us a comprehensive picture about the city with its goods and bads, the difference in culture and everything in between. As an expat, living in other countries for months, or even years, can be a culture shock. So can coming home. In Mint Mocha Musings, you will learn first-hand what this type of journey is like. Nicole shares her insight into what she does when she’s living abroad, including in Hong Kong, and what it was like to go home after months of something so different. With a child and husband, her blog is perfect for families or individuals who want to know what it’s like to live with family as expats. The stories she shares about babies and Chinese culture specifically are well worth a click and will give you a nice laugh. Being an expat with a family in Hong Kong can be difficult, especially if you don’t have a typical office job. As a freelance writer and editor, Accidentally Tai Tai shares her experience to help other travelers out. The travel section of her blog is particularly helpful because it has great tips about traveling abroad with young children. She tells the honest, raw truth and that is something any parent can appreciate. Also, her tips for where to eat with kids can help out families who might have trouble helping their kids adjust to the new food in Hong Kong. 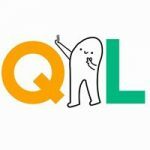 Ordinary Gweilo is a blog written by a Brit who now lives in Hong Kong. While not a lot of personal information is revealed, this isn’t a problem for anyone who simply wants to read about current news in Hong Kong. However, the blog owner does share their opinion and perspective as an expat on topics such as housing and changes in the MTR. The everyday topics here are those that are important for those who live abroad, especially because traditional newspapers in other languages can be difficult to understand. You’ll find some great current event content here. Palka Chopra does a great job at maintaining her blog and sharing stories of her travels. Her current journey as an expat in Hong Kong is easy to read about in her “HK Diaries”. It’s here where she shares the places she visits, her perspective on this culture, and even fun tidbits about the food she is lucky enough to try. 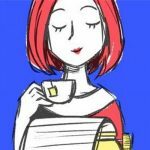 Her personal tone and stories are excellent resources for anyone who is living in Hong Kong and wants to know what it’s really like for a foreigner. Jess is a tour guide living and working in Hong Kong with a blog full of itineraries for trips in Hong Kong and many travel hacks to make your trip easier. With experience in planning trips, long or short, you can rest assure that she knows what to see even in a packed weekend trip. This is very helpful to many expats excited to discover the city and having the knowledge to know where to start, is a big advantage. After all, the first impression matters a lot. 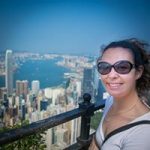 Tourist or expat, be sure to check her blog and maybe even contact her for some tips about the life in Hong Kong. Jen Brown packs a lot of great content into her Expat Lingo Blog. 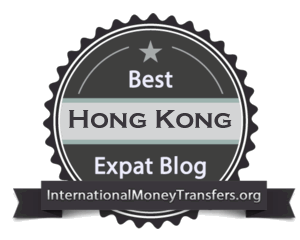 As a self-proclaimed serial expat, she is an excellent resource for information about living abroad, specifically in Hong Kong, UK, Netherlands, and China. 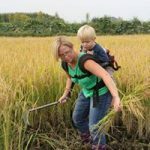 The hiking area of her blog is particularly interesting, as it offers expats insight into hiking in areas all around Hong Kong. However, don’t overlook the articles she writes about some of the current events in the area, because they’re useful to take in before you move as well as while you’re living abroad. Although Jen lives in Seattle now, this blog is still a good resource to use for the insight and experiences she discusses. Did you see your blog in this post? Then let others know as well by featuring this badge on your blog. It’s super easy to embed: just copy/paste the code bellow in one of your widgets and you’re done.